In our other post, we taught you how to say hello as our Word of the Day. You can read it again here. 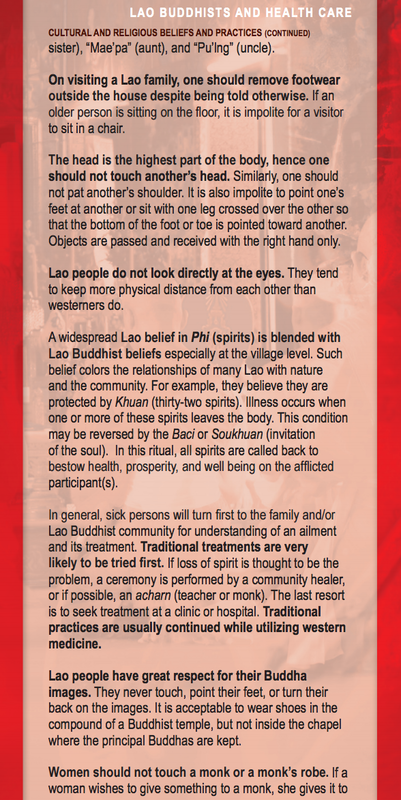 When greeting the Monks and temple patrons it is respectful to put your hands in prayer position, bow, and say SAIBAIDI — sá-bàɪ-dì, which translates into “Hello” — (sá with a high tone, bàɪ and dìː with low tones — Lao: ສະບາຍດີ). 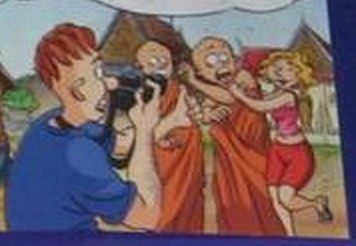 Monks took an oath to live foregoing sexual pleasure or desire. Thus, they cannot touch women and women cannot touch them due to the risk of touch leading to affection or desire. 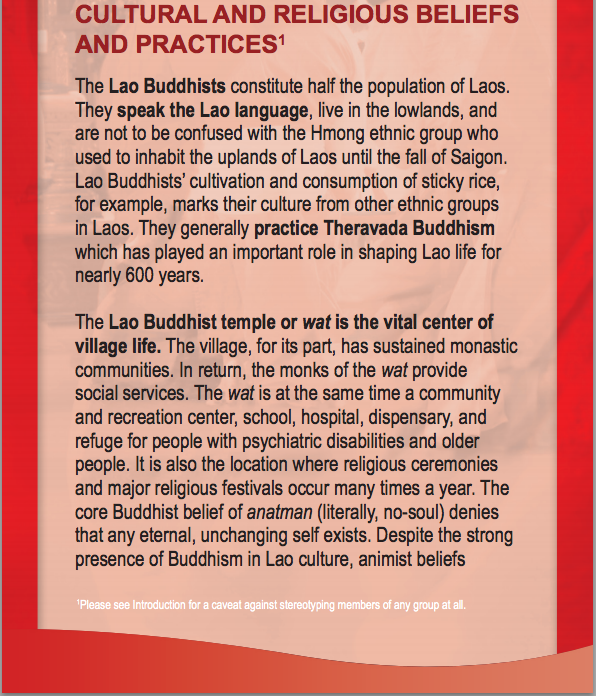 So, for ladies who want to practice OMT, you'll have to find a non-monk at the temple! 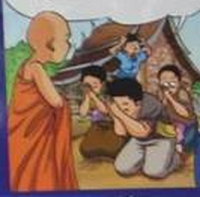 It's customary to kneel in front of a monk or while you are speaking with them. It's a sign of respect and very much appreciated. The head is sacred in Buddhism. Some people think touching another person's head or shoulders is cute or affectionate, but it can actually be interpreted as a sign of disrespect. As a rule of thumb, don't touch another person's head or shoulders at the temple because you would accidentally be invading their sacred space! 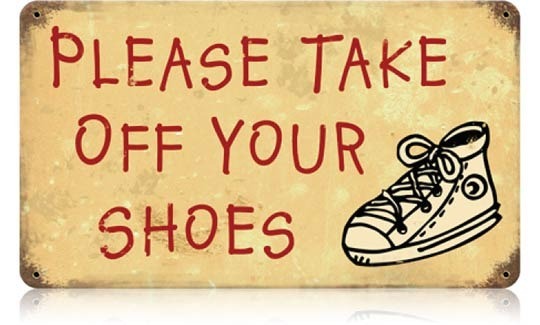 If you're going to perform OMT, ask them if it's okay first to give them a heads up (no pun intended!). We hope this was helpful & informative! 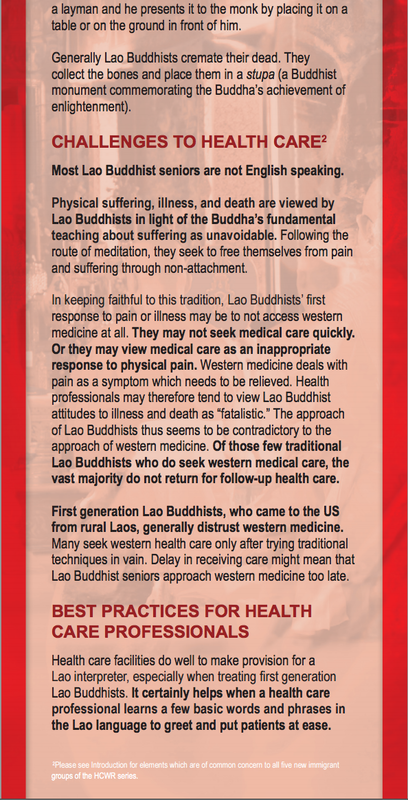 For more info on Lao Buddhism & educating ourselves on barriers/potential challenges we need to overcome in order to provide better healthcare for the Lao patient population, check out this printable brochure at Creative Artistic Nuance. 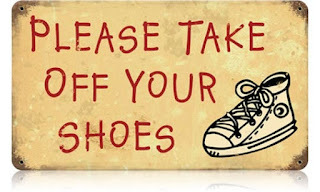 We'll also post it for you below! Still hungry for more knowledge? 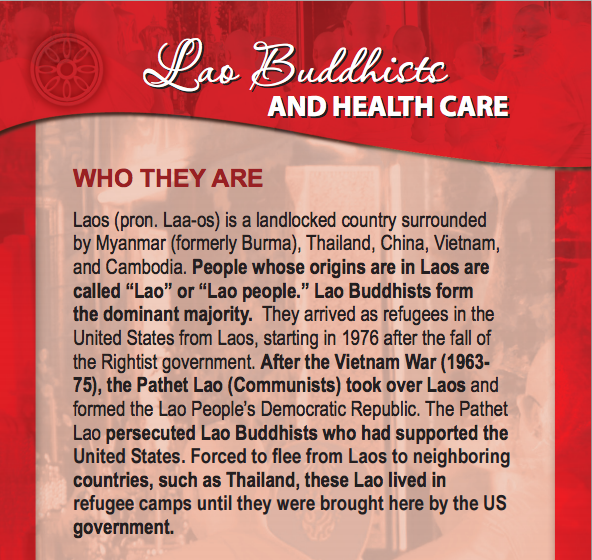 Visit everyculture.com to learn more about the Lao culture! See you at the Wat! Entrance is at the SW corner on 20th St at Washington and up the cement stairs. What are some of the screenings volunteers will be doing? 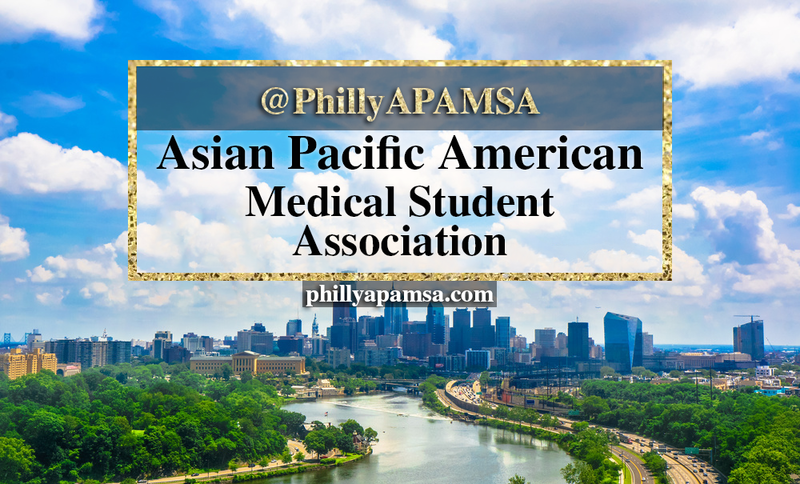 We will be working with the wonderful Dr. Charmaine Chan and Dr. Larry Finkelstein.